In the second quarter of 2017, Tesla burnt $1.16 billion in cash and BMW’s positive cash flow from operations hit $1.75 billion. But that enormous difference is meaningless, the last gasp of a dinosaur — at least according to the two car companies’ comparable market caps, the media and political backlash against the German car industry, the universal disparagement of combustion engines, and the rave reviews of the Tesla Model 3. German carmakers are now being compared to Nokia in the first years of the iPhone. Neither the German auto manufacturers nor combustion engines — even the diesel variety — are doomed, and BMW’s profitability has a lot to do with this. After the “diesel summit” in Berlin, German politicians are accused of spinelessly following the auto industry’s lead because they accepted the offer of software fixes on 5 million cars to forestall diesel bans in a number of cities. But all the government wants the carmakers to do is follow the rules on emissions, and, after Volkswagen’s diesel scandal, they’ve been getting better at that. According to Emissions Analytics, a UK firm that tests most car models under road conditions to compile its EQUA index, 20 diesel cars are fully compliant with the stringent Euro 6 regulations when it comes to NOx emissions — the tiny smog-inducing particles that cost VW billions of dollars and undermined diesel’s reputation as the answer to tougher environmental legislation. These 20 models are all made by German companies, mostly by Volkswagen and its subsidiaries. Four are BMWs. Euro 6 is an extremely tough environmental standard, which cut permissible NOx emissions by a factor of six compared to what was normal for 2000. Modern diesel engines can live up to it if carmakers don’t skimp on purification — something they are less and less tempted to do in the aftermath of the VW scandal, with customers and governments increasingly interested in real-world testing. If the standards are further tightened, it’s conceivable that the old technology could rise to the challenge. In a 2016 paper, Nils Hooftman of Free University Brussels and his collaborators compared the environmental impact of combustion engine vehicles to that of electric ones. They painstakingly included more inputs than we usually think of: for example, non-exhaust emissions that occur when a driver hits the brakes (these are higher for EVs) and the energy used in refining oil to produce fuel. The study — which used real-life test results with pre-VW scandal diesel engines exceeding NOx limits — showed EVs performing eight times better on human health impacts than Euro 6 diesel cars. But that’s better than the factor of 15 for Euro 4 diesels, produced until 2005. Besides, the study focused on Belgium, which doesn’t produce batteries and which generates 40 per cent of its electricity from nuclear power and imports another 21 per cent. Once the effects of a more fossil-heavy energy mix and battery making are factored in, the environmental impact difference becomes less clear-cut. EVs are only significantly better for the environment when most power is generated from renewable sources. For most countries, that hard-to-achieve point lies somewhere in the future. That means German regulators — who have set the goal of switching to electric and hybrid vehicles by 2030 — are justified in not cracking down harder on the auto industry and merely demanding standard compliance. No point in rushing carmakers? There’s no point in rushing the carmakers to catch up with Tesla. It makes more business sense — and more than a little environmental sense — to have the small US manufacturer collect more first-mover bumps and burn more money before the German companies move in and capture most of the market. As it is, BMW has sold 14,531 electric i3 vehicles so far this year, compared with Tesla’s 47,000. It sells relatively few only because it’s not trying to do much more than meet demand while people still want gasoline and diesel-powered cars. And they do: The Bavarian company’s unit sales were up 5 per cent to 587,237 cars in the first quarter of 2017. It’s predicting even more sales growth later this year. At this point, convincing customers that diesel engines are not synonymous with cheating and dangerously high emissions is a matter of marketing. BMW has offered customers 2,000 euros ($2,400) to trade in older diesel cars for modern ones — or for EVs. The industry is likely to come up with more such moves. It’s conceivable that the decline in the share of diesel cars sold could soon slow down. But if it continues apace — and if gasoline-powered cars don’t pick up the slack — German carmakers will be ready to scale up EV production with much less trouble than Tesla is having with its Model 3 ramp-up. 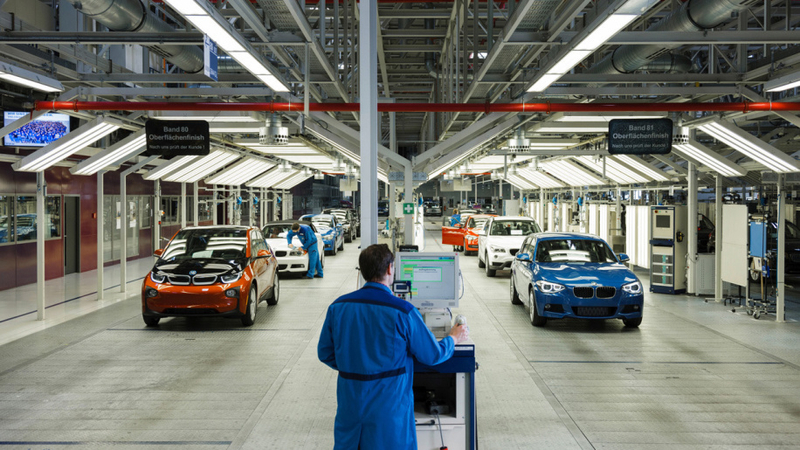 BMW CEO Harald Krueger said that the automaker is working to produce traditional, hybrid and electric vehicles on the same assembly lines, so it can respond quickly to demand shifts. Meanwhile, the German consortium Terra E holding is starting construction of a battery factory to rival Tesla’s — a project the German government has endorsed and subsidised — and other battery plants are being constructed by individual car manufacturers. 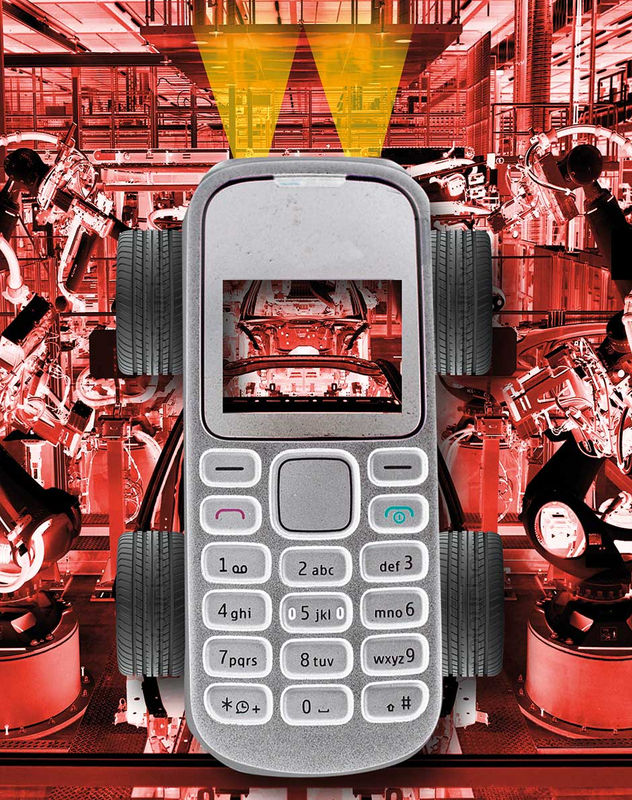 The car industry is too important for Germany to allow a Nokia-style cataclysm, and the industry itself is too agile to find itself in Nokia’s position. It has the operational soundness to cover all the bases and overcome the recent negative publicity.